Cannabis contains THC. THC is a bronchial dilator, which means it works like a cough drop and opens up your lungs, which aids clearance of smoke and dirt. Nicotine does just the opposite; it makes your lungs bunch up and makes it harder to cough anything up. Scientists do not really know what it is that causes malignant lung cancer in tobacco. Many think it may be a substance known as Lead 210. 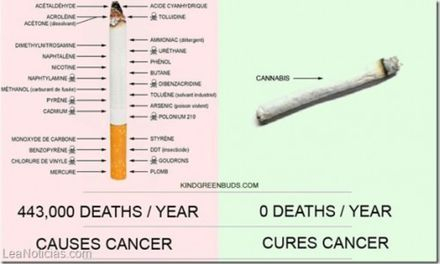 Of course, there are many other theories as to what does cause cancer, but if this is true, it is easy to see why no case of lung cancer resulting from marijuana use alone has ever been documented, because tobacco contains much more of this substance than cannabis. Undated - News ~ So, you thought it was the tar that caused cancer? 2008 - Study ~ Hypothesizing that marijuana smokers are at a significantly lower risk of carcinogenicity relative to tobacco-non-marijuana smokers: evidenced based on statistical reevaluation of current literature. 1999 - News - Why Doesn't Smoking Marijuana Cause Cancer? Marijuana smoking -"even heavy longterm use"- does not cause cancer of the lung, upper airwaves, or esophagus, Donald Tashkin reported at this year's meeting of the International Cannabinoid Research Society. Coming from Tashkin, this conclusion had extra significance for the assembled drug-company and university-based scientists ( most of whom get funding from the U.S. National Institute on Drug Abuse ). Over the years, Tashkin's lab at UCLA has produced irrefutable evidence of the damage that marijuana smoke wreaks on bronchial tissue. With NIDA's support, Tashkin and colleagues have identified the potent carcinogens in marijuana smoke, biopsied and made photomicrographs of pre-malignant cells, and studied the molecular changes occurring within them. It is Tashkin's research that the Drug Czar's office cites in ads linking marijuana to lung cancer. Tashkin himself has long believed in a causal relationship, despite a study in which Stephen Sidney examined the files of 64,000 Kaiser patients and found that marijuana users didn't develop lung cancer at a higher rate or die earlier than non-users. Of five smaller studies on the question, only two -involving a total of about 300 patients- concluded that marijuana smoking causes lung cancer. Tashkin decided to settle the question by conducting a large, prospectively designed, population-based, case-controlled study. "Our major hypothesis," he told the ICRS, "was that heavy, longterm use of marijuana will increase the risk of lung and upper-airwaves cancers." The Los Angeles County Cancer Surveillance program provided Tashkin's team with the names of 1,209 L.A. residents aged 59 or younger with cancer ( 611 lung, 403 oral/pharyngeal, 90 laryngeal, 108 esophageal ). Interviewers collected extensive lifetime histories of marijuana, tobacco, alcohol and other drug use, and data on diet, occupational exposures, family history of cancer, and various "socio-demographic factors." Exposure to marijuana was measured in joint years ( joints per day x 365 ). Controls were found based on age, gender and neighborhood. Among them, 46% had never used marijuana, 31% had used less than one joint year, 12% had used 10-30 j-yrs, 2% had used 30-60 j-yrs, and 3% had used for more than 60 j-yrs. Tashkin controlled for tobacco use and calculated the relative risk of marijuana use resulting in lung and upper airwaves cancers. All the odds ratios turned out to be less than one ( one being equal to the control group's chances )! Compared with subjects who had used less than one joint year, the estimated odds ratios for lung cancer were .78; for 1-10 j-yrs, .74; for 10-30 j-yrs, .85 for 30-60 j-yrs; and 0.81 for more than 60 j-yrs. The estimated odds ratios for oral/pharyngeal cancers were 0.92 for 1-10 j-yrs; 0.89 for 10-30 j-yrs; 0.81 for 30-60 j-yrs; and 1.0 for more than 60 j-yrs. "Similar, though less precise results were obtained for the other cancer sites," Tashkin reported. "We found absolutely no suggestion of a dose response." The data on tobacco use, as expected, revealed "a very potent effect and a clear dose-response relationship -a 21-fold greater risk of developing lung cancer if you smoke more than two packs a day." Similarly high odds obtained for oral/pharyngeal cancer, laryngeal cancer and esophageal cancer. "So, in summary" Tashkin concluded, "we failed to observe a positive association of marijuana use and other potential confounders." There was time for only one question, said the moderator, and San Francisco oncologist Donald Abrams, M.D., was already at the microphone: "You don't see any positive correlation, but in at least one category [marijuana-only smokers and lung cancer], it almost looked like there was a negative correlation, i.e., a protective effect. Could you comment on that?" "Yes," said Tashkin. "The odds ratios are less than one almost consistently, and in one category that relationship was significant, but I think that it would be difficult to extract from these data the conclusion that marijuana is protective against lung cancer. But that is not an unreasonable hypothesis." Abrams had results of his own to report at the ICRS meeting. He and his colleagues at San Francisco General Hospital had conducted a randomized, placebo-controlled study involving 50 patients with HIV-related peripheral neuropathy. Over the course of five days, patients recorded their pain levels in a diary after smoking either NIDA-supplied marijuana cigarettes or cigarettes from which the THC had been extracted. About 25% didn't know or guessed wrong as to whether they were smoking the placebos, which suggests that the blinding worked. Abrams requested that his results not be described in detail prior to publication in a peer-reviewed medical journal, but we can generalize: they exceeded expectations, and show marijuana providing pain relief comparable to Gabapentin, the most widely used treatment for a condition that afflicts some 30% of patients with HIV. To a questioner who bemoaned the difficulty of "separating the high from the clinical benefits," Abrams replied: "I'm an oncologist as well as an AIDS doctor and I don't think that a drug that creates euphoria in patients with terminal diseases is having an adverse effect." His study was funded by the University of California's Center for Medicinal Cannabis Research. In particular, surveys do not allow cannabis users to elaborate on the context of their use, particularly settings, which may influence the risk of dependence. The NDRI research team was able to gather such information through the in-depth interviews, but they also conducted field observations of more than 500 individuals during cannabis-smoking sessions in a number of settings. These observations, combined with the interview responses, revealed a system of etiquette based on sharing. The sharing etiquette observed is more complex and involved than sharing norms of previous marijuana using subcultures. Blunt-smoking etiquette includes norms respecting appropriate times and places for smoking, limiting the number of hits one takes before passing a blunt, and contributing to the cost and effort of a blunts-smoking event. The rules are enforced by peer pressure, including the implicit threat of ejection from the group and an argot of demeaning labels for those who violate the norms of sharing. Article adapted by CMMC from original press release. Haroon: There's such a big to-do about smoking and cancer, but people smoke marijuana and call that medicinal. I was told that the heat from the smoke causes cancer among tobacco smokers. 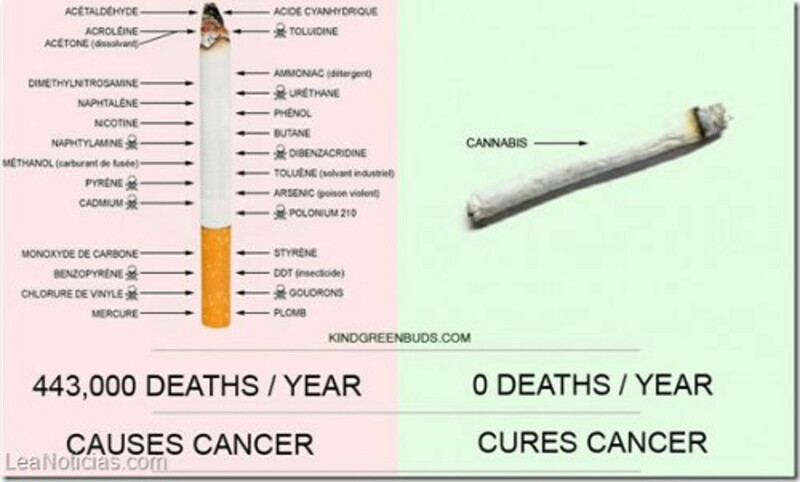 But then wouldn't smoking marijuana cause cancer, too? Dr. Dean: Haroon, this is the big question about smoking. You'd think we'd know by now what part of it causes cancer, but we don't. Some of the theories are tars, polonium, and, as you mentioned, the burning process. The tars in cigarette smoke do contain known carcinogenic chemicals, but those chemicals don't really accumulate where lung cancer accumulates. Polonium, which is radioactive, accumulates on tobacco leaves as a result of fertilizers. In a chronic smoker, polonium accumulates in the bronchial tree, which is also a location for cancer. 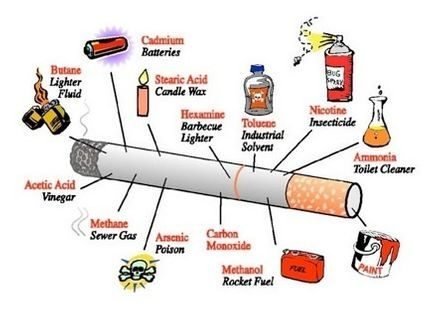 If the fertilizer causes cancer, maybe non-fertilized tobacco would make a safe cigarette. Burning vegetable matter also produces known carcinogens. But marijuana, which is certainly burning vegetable matter, doesn't seem to cause lung cancer. You can see how difficult it is. Burning materials, even the ones produced when we barbecue, create substances that cause cancer in laboratory animals. Those substances are more abundant in marijuana and hashish smoke than in tobacco smoke. However, a cigarette smoker smokes 20 or 30 cigarettes a day; a marijuana smoker smokes one or two at the most. The quantity might be the difference between cancer and no cancer. One of the main reasons we can't pinpoint what part of smoking causes cancer is that cigarette companies have a big secret. An incredible loophole in the law allows them not to disclose about 500 of the ingredients in cigarettes. Maybe the burning of one of those ingredients causes lung cancer. But we can't test it, because we don't know what it is. SAN DIEGO, May 24 — Smoking marijuana does not appear to increase the risk of lung cancer or head-and-neck malignancies, even among heavy users, researchers reported here. "We expected that we would find that a history of heavy marijuana use, more than 500 to 1,000 uses, would increase the risk of cancer from several years to decades after exposure to marijuana, said Donald Tashkin, M.D., of the University of California in Los Angeles. But in fact, they reported at the American Thoracic Society meeting here, marijuana use was associated with cancer risk ratios below 1.0, indicating that a history of pot smoking had no effect on the risk for respiratory cancers. Dr. Tashkin was quick to point out, however, that marijuana does not appear to have a protective effect against cancer. "If it did, there would be a dose-dependent effect, with people who smoked more having a lower risk," he said. "We didn't see that." Studies have shown that marijuana contains many compounds that when burned, produce about 50% higher concentrations of some carcinogenic chemicals than tobacco cigarettes. In addition, heavy, habitual marijuana use can produce accelerated malignant change in lung explants, and evidence on bronchial biopsies of pre-malignant histopathologic and molecular changes, Dr. Tashkin said. The investigators had also previously shown that smoking one marijuana cigarette leads to the deposition in the lungs of four times as much tar as smoking a tobacco cigarette containing the same amount of plant material. Marijuana cigarettes are not filtered and are more loosely packed than tobacco, so there's less filtration of the tar. In addition, pot smokers hold the smoke in their lungs about four times longer than tobacco smokers do, Dr. Tashkin pointed out. He and his colleagues, led by epidemiologist Hal Morgenstern, Ph.D., of the University of Michigan in Ann Arbor, conducted a study to look at possible associations between marijuana use and the risk of respiratory cancers among middle-age adults in the Los Angeles area. For the population-based case-control study, they identified cancer cases among people from the ages of 18 to 59, using the Los Angeles County Cancer Surveillance Program registry. They identified 611 people with lung cancer, 601 with cancers of the head and neck, and 1,040 controls matched by age, gender and neighborhood (as a surrogate for socioeconomic status). They conducted extensive personal interviews to determine lifetime marijuana use, measured in joint-years, with one joint-year equivalent to 365 marijuana cigarettes. The interviewers also asked participants about tobacco use, alcohol consumption, use of other drugs, socioeconomic status, diet, occupation, and family history of cancer. The investigators also used logistic regression to estimate the effect of marijuana use on lung cancer risk, adjusting for age, gender, race/ethnicity, education, and cumulative tobacco smoking and alcohol use. They found that the heaviest users in the study had smoked more than 60 joint years worth of marijuana, or more than 22,000 joints in their lifetime. Moderately heavy users smoked between 11,000 and 22,000 joints. "That's an enormous amount of marijuana," Dr. Tashkin said. Despite the heavy use, "in no category was there any increased risk, nor was there any suggestion that smoking more led to a higher odds ratio," he continued. "There was no dose-response—not even a suggestion of a dose response—and in all types of cancer except one, oral cancer, the odds ratios were less than one." The confidence intervals around the odds ratios were wide however, and the odds ratios did not show a dose response. In contrast, tobacco smoking was associated with increased risk for all cancers, and there was a "powerful" dose-response relationship. People who smoked more than two packs of cigarettes per day had a 21-fold risk for cancer, as opposed to a less than onefold risk for marijuana, Dr. Tashkin said. "When we restricted the analysis to those who didn't smoke any tobacco we found the same results, and when we looked for interaction between tobacco and smoking—would marijuana increase the risk, potentiate the carcinogenic effect of tobacco—we didn't find that, nor did we find a protective effect against the effect of tobacco, which is very important, because the majority of marijuana smokers also smoke tobacco," he commented. It's possible that tetrahydrocannabinol (THC) in marijuana smoke may encourage apoptosis, or programmed cell death, causing cells to die off before they have a chance to undergo malignant transformation, he said. Dr. Tashkin also noted that "it's never a good idea to take anything into your lungs, including marijuana smoke. Tashkin DP et al. "Marijuana Use and Lung Cancer: Results of a Case-Control Study." Presented in a briefing May 23 and in an oral session May 24, 2006. Cannabis smoke contains many of the same carcinogens as tobacco smoke, including greater concentrations of certain aromatic hydrocarbons such as benzopyrene, prompting fears that chronic marijuana inhalation may be a risk factor for tobacco-use related cancers. However, marijuana smoke also contains cannabinoids such as THC (delta-9-tetrahydrocannabinol) and CBD (cannabidiol), which are non-carcinogenic and demonstrate anti-cancer properties in vivo and in vitro. By contrast, nicotine promotes the development of cancer cells and their blood supply. In addition, cannabinoids stimulate other biological activities and responses that may mitigate the carcinogenic effects of smoke, such as down-regulating the inflammatory arm of the immune system that is responsible for producing potentially carcinogenic free radicals (unstable atoms that are believed to accelerate the progression of cancer). Cannabis smoke – unlike tobacco smoke – has not been definitively linked to cancer in humans, including those cancers associated with tobacco use. However, certain cellular abnormalities in the lungs have been identified more frequently in long-term smokers of cannabis compared to non-smokers. Chronic exposure to cannabis smoke has also been associated with the development of pre-cancerous changes in bronchial and epithelium cells in similar rates to tobacco smokers. Cellular abnormalities were most present in individuals who smoked both tobacco and marijuana, implying that cannabis and tobacco smoke may have an additive adverse effect on airway tissue. The results suggest that long-term exposure to cannabis smoke, particularly when combined with tobacco smoking, is capable of damaging the bronchial system in ways that could one day lead to respiratory cancers. However, to date, no epidemiologic studies of cannabis-only smokers have yet to reveal such a finding. Larger, better-controlled studies are warranted. Cannabis consumers who desire the rapid onset of action associated with inhalation but who are concerned about the potential harms of noxious smoke can dramatically cut down on their intake of carcinogenic compounds by engaging in vaporization rather than smoking. Cannabis vaporization limits respiratory toxins by heating cannabis to a temperature where cannabinoid vapors form (typically around 180-190 degrees Celsius), but below the point of combustion where noxious smoke and associated toxins (i.e., carcinogenic hydrocarbons) are produced (near 230 degrees Celsius). Because vaporization can deliver doses of cannabinoids while reducing the users intake of carcinogenic smoke, it is considered to be a preferred and likely safer method of cannabis administration than smoking marijuana cigarettes or inhaling from a water pipe. According to the findings of a recent clinical trial, use of the Volcano vaporizing device delivered set doses of THC to subjects in a reproducible manner while suppressing the intake of respiratory toxins. "Our results show that with the Volcano, a safe and effective cannabinoid delivery system seems to be available to patients," investigators at Leiden University's Institute of Biology (the Netherlands) concluded. (References: On the carcinogenicity of marijuana smoke. Recent Advances in Phytochemistry. 1975. **Author’s Note: More recent studies on higher potency marijuana and/or sinsemilla have not been conducted and could potentially yield different results. | Cannabinoids and cancer: causation, remediation, and palliation. Lancet Oncology. 2005 | Cannabinoids: potential anticancer agents. Nature Reviews Cancer. 2003. | Nicotine exposure and bronchial epithelial cell nicotinic acetylcholine receptor expression in the pathogenesis of lung cancer. Journal of Clinical Investigation. 2003 | Cannabis and tobacco smoke are not equally carcinogenic. Harm Reduction Journal. 2005 | Ibid. | National Academy of Sciences, Institute of Medicine. Marijuana and Medicine: Assessing the Science Base. National Academy Press. 1999 | Tracheobronchial histopathology in habitual smokers of cocaine, marijuana and/or tobacco. Chest. 1997 | Histopathologic and molecular alterations in bronchial epithelium in habitual smokers of marijuana, cocaine and/or tobacco. Journal of the National Cancer Institute. 1998 | See footnotes 10 and 11 | Cannabis vaporizer combines efficient delivery of THC with effective suppression of pyrolytic compounds. Journal of Cannabis Therapeutics. 2004 | Hazekamp et al. 2006. Evaluation of a vaporizing device (Volcano) for pulmonary administration of tetrahydrocannabinol. Journal of Pharmaceutical Sciences 95: 1308-1317.) | Vaporization as a smokeless cannabis delivery system: a pilot study. Clinical Pharmacology & Therapeutics. 2007. A 1997 retrospective cohort study examining the relationship of marijuana use to cancer incidence in 65,171 men and women 15 to 49 years of age in California found that cannabis use was not associated with increased risks of developing tobacco-use related cancers of the lung and upper aerodigestive tract, and in fact, no cases of lung cancer were identified among men and women who used marijuana but did not smoke tobacco. Critics charge that volunteers in the study were relatively young and that the follow up period was fairly short, arguing that "such a study could not have been expected to detect any relationship between marijuana and lung cancer if the lag period were comparable to that seen with tobacco," which typically occurs after at least 20 years of smoking cigarettes and/or among adults over age 60. The study’s author responds: "[I]n contrast to users of tobacco and alcohol, most cannabis users generally quit using cannabis relatively early in their adult lives. … Therefore, even diseases that might be related to long-term use of cannabis (e.g. lung cancer) are unlikely to have a sizeable public health impact because most people who try cannabis do not become long-term users." Government reviews investigating a possible link between cannabis use and lung cancer have also failed to find a definitive causal connection between the two. 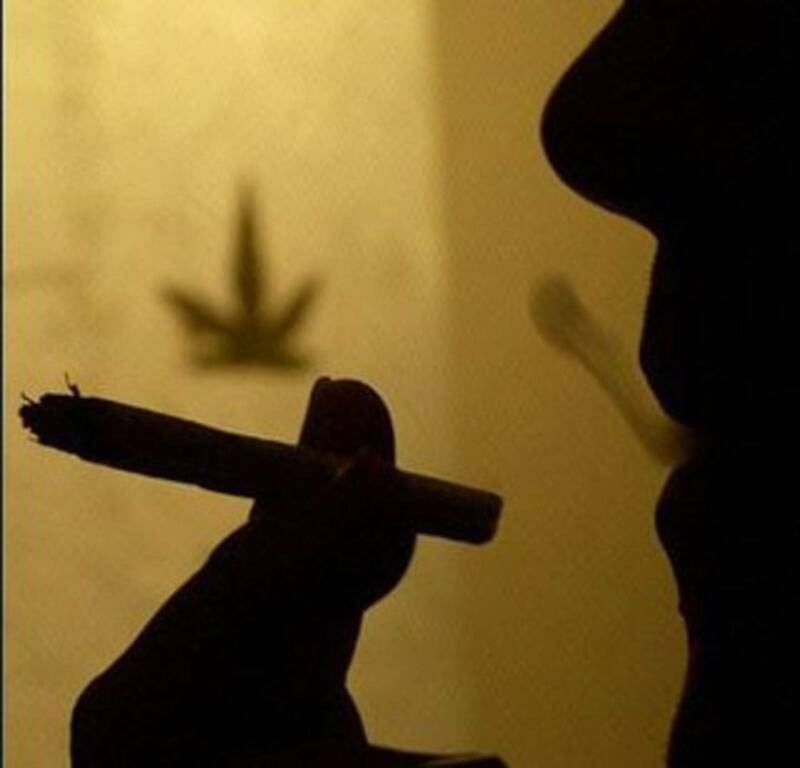 A 1998 report by the British House of Lords Science and Technology Committee concluded, "There is as yet no epidemiological evidence for an increase risk of lung cancer" in cannabis smokers, though authors did concede that studies have revealed cellular changes in the airways of cannabis smokers that could potentially be pre-cancerous. An 18-month study by the US National Academy of Science Institute of Medicine also concluded, "There is no conclusive evidence that marijuana causes cancer in humans, including cancers generally related to tobacco use," but added that cellular studies and a handful of poorly controlled case studies suggest that cannabis smoke may be "an important risk factor" for the development of upper aerodigestive or lung cancers. A 2002 Canadian Senate review further commented that among the small number of case studies present in the literature: "[N]one compare the prevalence of cancer with a control group or evaluates the use of cannabis in a standardized way. Interpretation is also limited by the fact the patients smoked tobacco and drank alcohol." More recent reviews of the subject published in the journals Alcohol and Lancet Oncology reach similar conclusions. A review of two cohort studies and 14 case-control studies assessing the association of marijuana and cancer risk by Hashibe and colleagues concluded, "[R]esults of cohort studies have not revealed an increased risk of tobacco related cancers among marijuana smokers." Authors did highlight a pair of African case control studies citing marijuana use as a possible elevated risk factor for lung cancer, though they added that investigators failed to assess either the durations of cannabis use or quantify the amount of tobacco used by subjects in conjunction with marijuana. A second 2005 review by Hall and colleagues conclude, "There is a conspicuous lack of evidence on the association between cannabis smoking and lung cancers," and recommends the subject receive additional study. (References: Marijuana use and increased risk of squamous cell carcinoma of the head and neck. Cancer Epidemiology Biomarkers & Prevention. 1999 | Marijuana use is not associated with head, neck or lung cancer in adults younger than 55 years: Results of a case cohort study. In: National Institute on Drug Abuse (Eds) Workshop on Clinical Consequences of Marijuana: Program Book. National Institutes of Health. 2001 | Marijuana use and risk of squamous cell carcinoma. Cancer Research. 2004 | An analysis of risk factors for oral cancer in young people: a case-control study. Oral Oncology. 2004 | Marijuana use and cancer incidence. Cancer, Causes & Controls. 1997 | Leslie Iversen. The Science of Marijuana. Oxford University Press. 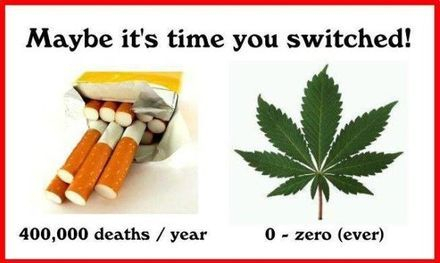 2000 | Comparing cannabis with tobacco – again. British Medical Journal. 2003 | House of Lords Science and Technology Committee. Ninth Report. 1998 | National Academy of Sciences, Institute of Medicine. Marijuana and Medicine: Assessing the Science Base. National Academy Press. 1999 | Report of the Special Senate Committee on Illegal Drugs. Cannabis: Our Position for a Canadian Public Policy. 2002 | Epidemiologic review of marijuana use and cancer risk. Alcohol. 2005 | Cannabinoids and cancer: causation, remediation, and palliation. Lancet Oncology. 2005 | Ongoing case-control study of marijuana use and cancer. In: National Institute on Drug Abuse (Eds) Workshop on Clinical Consequences of Marijuana: Program Book. National Institutes of Health. 2001 | Marijuana Use and the Risk of Lung and Upper Aerodigestive Tract Cancers: Results of a Population-Based Case-Control Study. Cancer Epidemiology Biomarkers & Prevention. 2006.